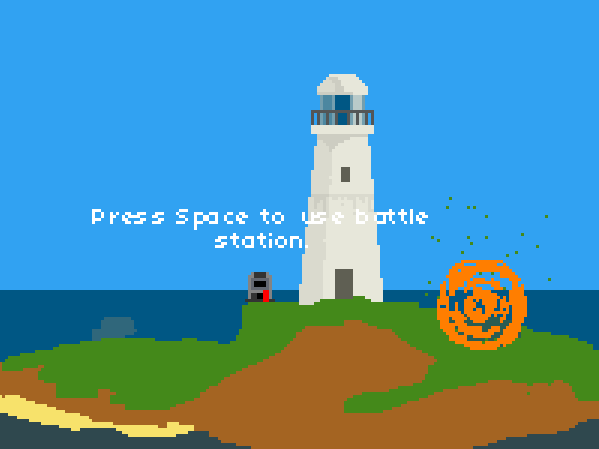 Another Ludum Dare is over, number 23 to be precise, and my game is submitted. It’s called “Aether” and is a mix of an explorer platformer and missile command, where you have to run through a landscape to reach a mountain with a secret weapon, while at the same time fighting off alien spacecraft. You can play it here: Play Aether. Have fun! Next weekend Ludum Dare happens for the 23rd time, and it will be the ten year anniversary of the competition! As you might know, I released an early version of the pixel editor, now called PyxelEdit, for the Ludum Dare community. Even though it is far from complete, I wanted to share what I had because I think it’s cool and could be useful for making quick graphics for LD. I have not yet decided exactly what to do with the editor. Right now I’m refactoring the code because there is a lot of prototype code in there, the data and representation is not fully separated etc. This will make the code much easier and faster to work with in the long run, but it also means there won’t be any updates for a while (more than small fixes to the LD version if needed). This week I have had a lot of free time, so I started working on a new project. 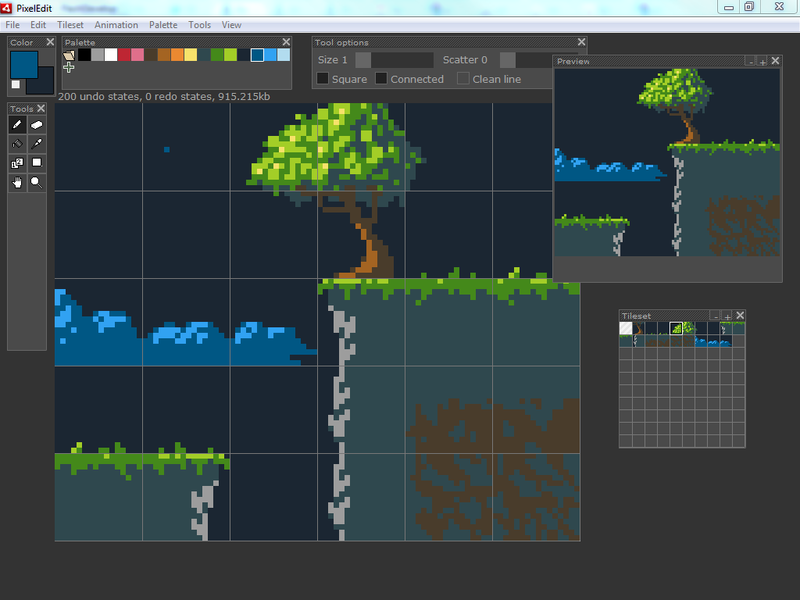 It’s a pixel editor inspired by Pro Motion and Pixothello with some special features to make the process of making pixel art more streamlined and fun. Some of the features can be seen in the screenshot below. The basic editor is working pretty solidly. I plan to work hard on it the coming days adding animation support and probably a lot of other stuff. In the mean time, enjoy this screenshot. I made a game called Spot The Odd One, to take part in Blackberrys free Playbook offer. I just want to share this image of the game running on the actual device. It’s really exciting, as I made it using the simulator. It runs pretty much the same, just much smoother. I have realised some of the colors are almost impossible to tell apart though, like the purple and blue in the image, so I will fix that in the next update. 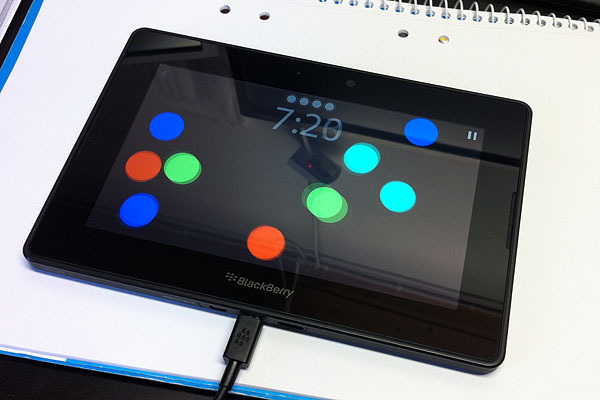 If you have a Playbook, you can get it for free in App World. Let me know if you have any feedback. I needed a profanity filter for the highscores in an app I made, but I couldn’t find anything free that worked the way I wanted, so I made a simple one myself. It’s pretty basic but someone might have use for it. You need a list of lowercase words to filter for. The one I used is far too big to paste here, but you can find one by searching for “bad word list”. // Returns a profane word if found, else ""
The function will detect character sequences that look like some other character, to make it harder to bypass the filter. For example, 1 becomes i, û becomes u, |\| becomes n etc. It works quite well, let me know if you found it useful or have any suggesstions. The game is about a robot, endlessly walking on the surface of a small planet. To survive you have to plant seeds, which turn into plants that you can harvest for more seeds, and so on. To make the task more complicated, you keep going faster and faster, and there is a hungry Capybara eating any of the plants he comes across. Colliding with the Capybara or a plant that has been left too long and turned into a thorny dead bush will make you drop all your seeds! Each time you complete a circle, you need to eat one seed for energy, and if you pass the flag without any seeds you loose. I made the graphics and music and a little bit of the programming. Andreas Bjerkeholt (Harteex), Disa Faith (Disaia) and Robert Edström (Legogris) did the programming, and we all made the game design together. 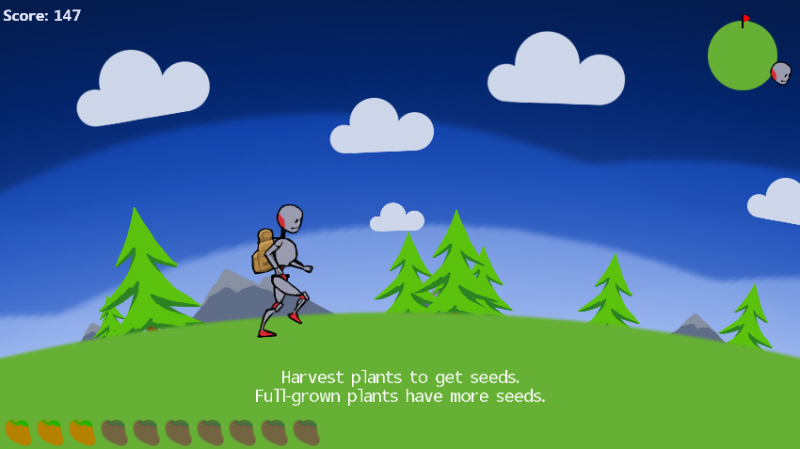 You can find out more, and try the game here: http://globalgamejam.org/2012/planet-yrwys. To run it you need Windows and the XNA runtime, but that should download automatically in the installer I believe. You can also use an Xbox controller if you have one. 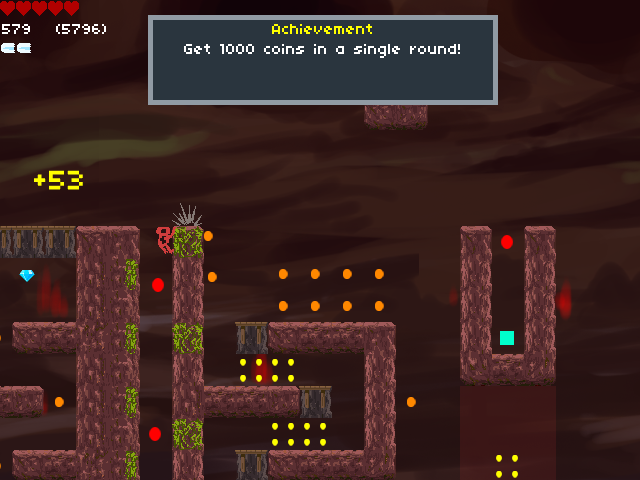 I’m have been working on Coin Runner since Ludum Dare 21. 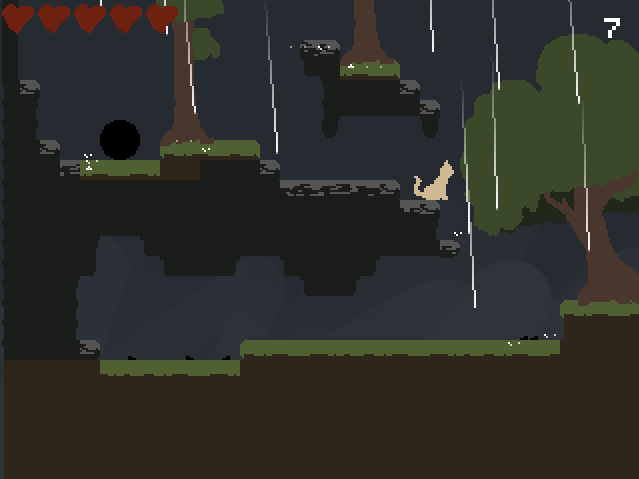 Here is a screenshot of how it looks at the moment, although a lot of it is still placeholder art. As you can see, there are now achievements. It plays a lot better than the compo version! There’s also lot’s of new items and skills you can buy. More info coming soon!